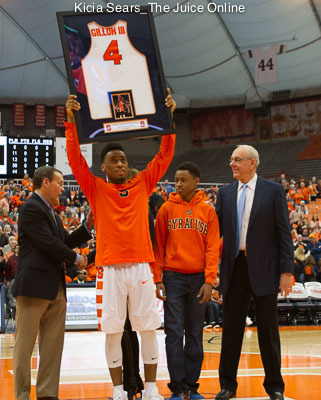 Once Gillon was designated the starter over Frank Howard early in league play, the offense fell into a flow. 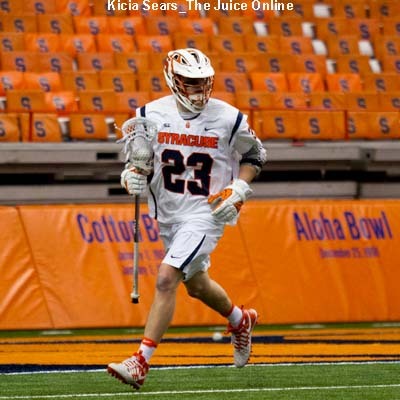 Syracuse has a chance though to bolster its credentials Wednesday against Miami in the second round of the ACC Tournament. 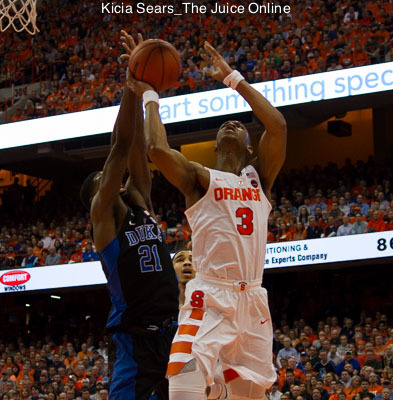 The 40 points rolled up by Andrew White III tied a Carrier Dome record for points scored by a Syracuse player and he tallied 29 points after halftime. 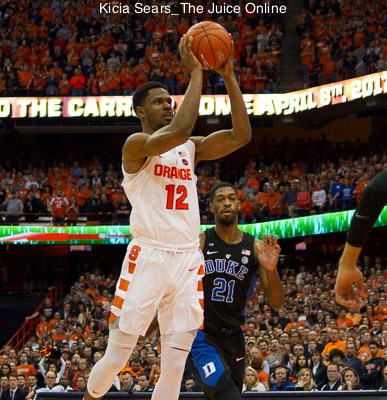 White became the second player on Syracuse and the third overall ACC player to score 40 or more points this season, pouring in a career-high 40 points to surpass a previous career-high of 35 set when he was with Nebraska. 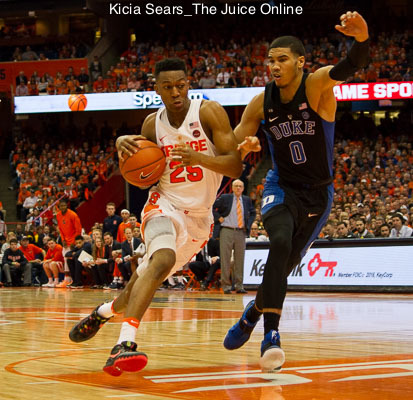 How did Syracuse basketball wind up squarely on the NCAA bubble? When Georgia Tech pays a visit to the Carrier Dome tomorrow, Syracuse will look to halt a slide that has seen it drop four of its last five contests including an away game against these very Yellow Jackets. 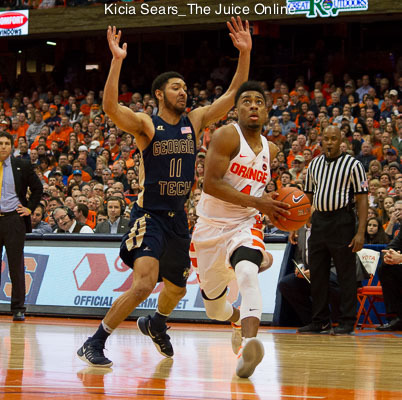 If Syracuse were to lose those two games and go into Selection Sunday having lost six of their last seven games, those seats wherever the team may watch the selection show will not feel all that cozy. 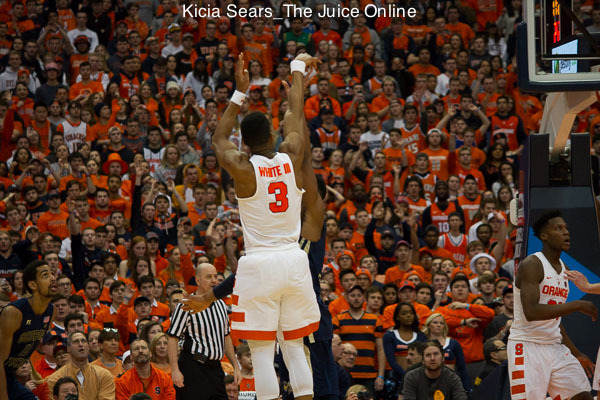 It’s only a matter of time before SU’s inability to get to the line catches up with it. 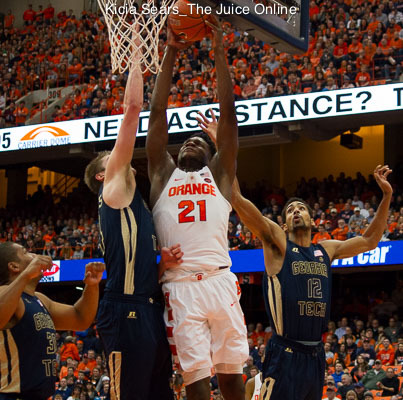 Syracuse only attempted 12 free throws in its earlier loss to Georgia Tech.